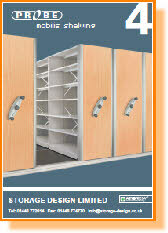 PROBE Lockers with ANTI-BACTERIAL Active coat. From single tier through to 8 tier plus 10 15 and 16 Tier. 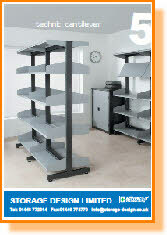 Technic cantilever shelving systems for library and office storage applications. Colour options available. 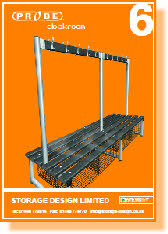 PROBE Mobilis mobile shelving for industrial & commercial storage applications. Colour decor panels with ergonomic handles. 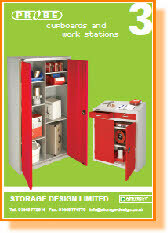 Workstations with drawers and doors. 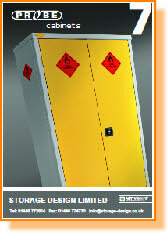 PROBE Hazardous Storage Cabinets & Cupboards. 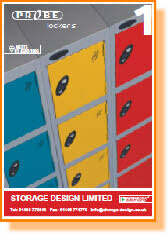 High quality steel lockers with TRESPA® 10mm solid grade laminate inset doors. 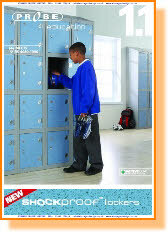 Tough doors are impact resistant, scratch resistant, moisture resistant and heat resistant! 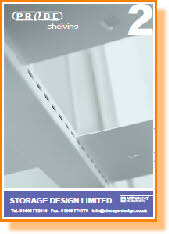 ADDED STRENGTH: Die Cast securing plate gives added strength to the hinges ensuring contents remain secure. DECOR END PANEL: An optional decorative end panel adds a real touch of style and strength.